Dr. Steven Segal received his B.A. and M.A. degrees in Physical Education and Exercise Physiology from the University of California at Berkeley, and a dual Ph.D. in Kinesiology and Physiology from the University of Michigan. He then undertook postdoctoral training at the University of Virginia in the laboratory of Dr. Brian Duling. After spending time on the faculty of the Noll Physiological Research Center at Penn State University, Dr. Segal moved to Yale School of Medicine where he rose through the academic ranks to tenured Professor. He then moved to the Department of Medical Pharmacology and Physiology at the University of Missouri-Columbia, where he currently holds the title of Margaret Proctor Mulligan Professor in Medical Research, and Investigator in the Dalton Cardiovascular Research Center. Having spent over 35 years in microcirculation research, Dr. Segal has built an international reputation for his foundational work on the local control of blood flow, especially with respect to the role of the microvascular endothelium and smooth muscle in the moment-to-moment control of arteriolar tone. His work on the underlying mechanisms and functional consequences of cell-to-cell communication in the vascular wall have provided new insight into our understanding of how local blood flow is coupled to tissue metabolic demand. Dr. Segal's work is highly valued by his peers for its rigor and technical innovation, and over the years Dr. Segal has successfully integrated a variety of new and powerful tools into his research to more effectively explore the cellular and subcellular processes involved in microvascular control. Dr. Segal is the author of over 100 peer-reviewed articles and more than 20 invited reviews and book chapters. He has also served as Reviewing Editor for the Journal of Physiology, Associate Editor for the Microcirculatory Society's journal Microcirculation, and on the editorial boards for five other top journals, including the American Journal of Physiology: Heart and Circulatory Physiology, for more than 20 years. 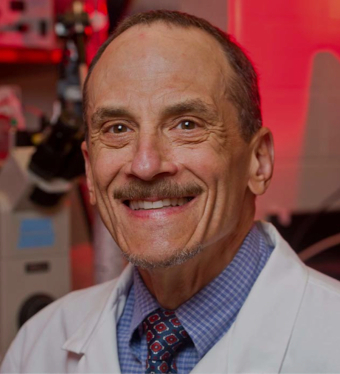 Dr. Segal has also served on numerous study sections and review groups for the NIH and other funding agencies, and his own research has been continuously funded by the NIH for over 30 years, culminating in a prestigious NIH MERIT Award that has been extended into 2019. Throughout his career, Dr. Segal has also been an active and fully engaged member of numerous scientific societies. He has served the Microcirculatory Society in a number of important capacities, including President and a member of the MCS Executive Council, and also as a member and chair of several important MCS committees. Dr. Segal is also an Established Investigator of the American Heart Association, a Fellow of the American College of Sports Medicine, a Fellow of the AHA Council on Basic Cardiovascular Sciences, and a Fellow of the American Physiological Society Cardiovascular Section. He has also been the recipient of numerous scientific awards, including the MCS Outstanding Young Investigator Travel Award, the Abbott Microcirculation Award from the European Society for Microcirculation, and the Malpighi award from the European Society for Microcirculation. Dr. Segal's dedication to microvascular research is also embodied in the mentoring he has provided for many students and postdoctoral fellows who have in turn become successful independent scientists in the field.